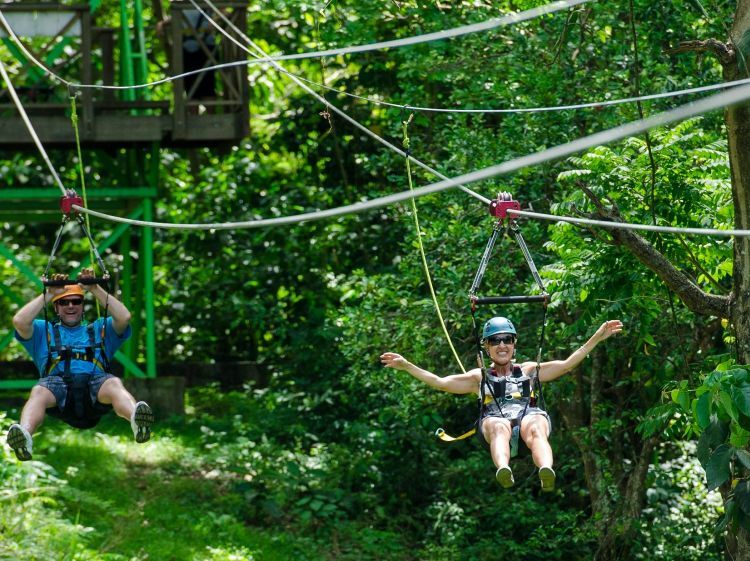 Sky Safari Tours is a highly advanced, scenic zipline tour through the St. Kitts Rainforest, flying over Wingfield River. Ride in a comfortable harness reaching speeds of up to 80km an hour. 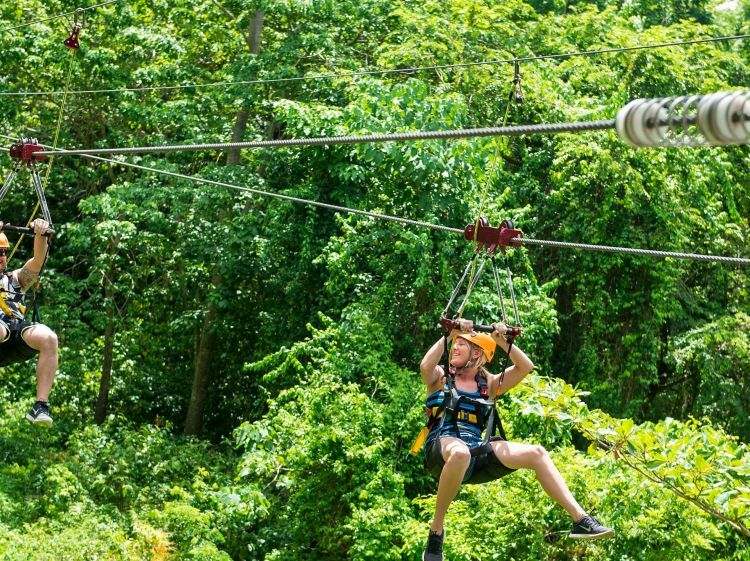 The system offers 5 cable lines, with the longest ride being over 1350 feet long and 250 feet above the ground. Our guides will share their wealth of interpretive information and local Wingfield Estate knowledge about the ecosystem you will be flying over, giving you a unique Wingfield Estate experience.